"Giving Children a Brighter Hope and a Better Future"
INVEST for Child's Education NOW! 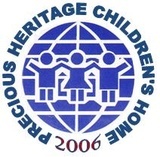 As Precious Heritage compassionate partner and friend, you touch the lives of the children in so many ways - including helping save lives and giving hope and future. We really need your partnership in reaching-out to the orphaned, abandoned and neglected children in the Philippines. It is our goal that we can help more children every year from your generous assistance. Precious Heritage Children's Home cares for children in two ways: Construct family dwellings to provide shelter for the homeless, abandoned and neglected children. We are strongly committed to place the children in a family environment rather than in large institutional orphanages. We accept children between the ages of 0 to 12 into the program. Once enrolled, the children will begin to be a part of their new family. These children will live together with a "house mother" in a home. Secondly, we also help the children from poor families through scholarship grants, sponsor-a-child program, feeding for the malnourished children and various street ministries. We believe that when the children are trained academically and spiritually, they will enter society equipped with the necessary life skills and moral values, enabling them to have a brighter hope for the future and make significant and lasting impact in the community. If God is calling you to support our various programs for the children, we are very happy to accept you as our faithful partner. By becoming our sponsor you are partnering together to bring love and hope to children who would otherwise be without them. Precious Heritage Ministries Foundation Inc.
100% OF YOUR DESIGNATED DONATION WILL GO DIRECTLY TO OUR PROGRAMS. WE DO NOT RETAIN ANY AMOUNT FOR ADMINISTRATIVE COST.